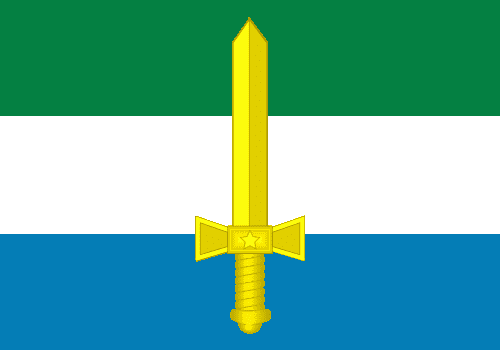 I think I never talked about military heraldry/vexillology on my blog. Actually, it's more like an eventual interest, not something I'm infinitely concerned about. 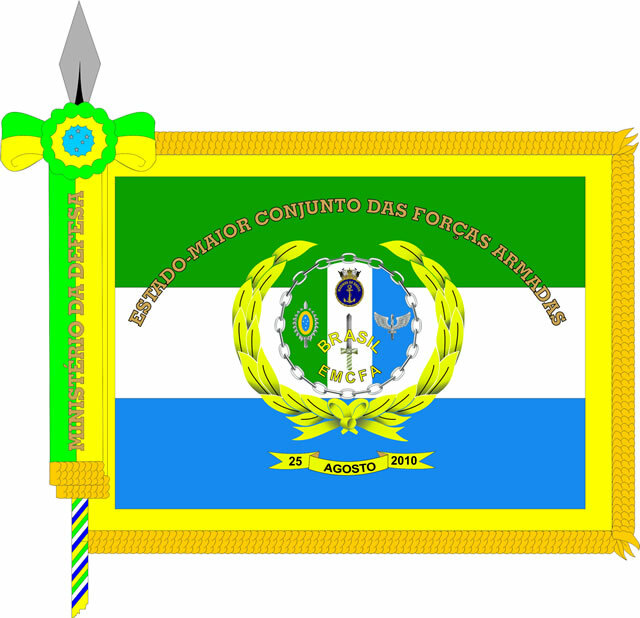 These days, I was reading about the terrible new flags adopted by the Joint Staff of Armed Forces (Estado-Maior Conjunto das Forças Armadas or EMCFA, in Portuguese), and I decided to find alternatives by myself. 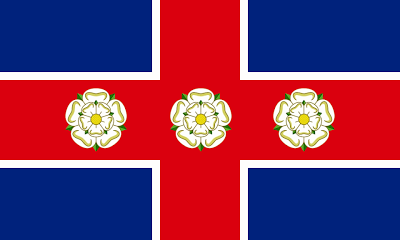 Before talk about flags themselves, I'll explain what's the EMCFA. 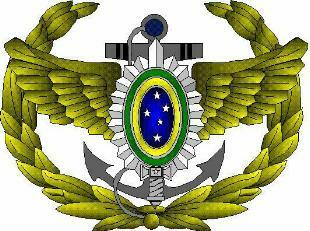 In 1999, the three military ministries (of Army, of Navy and of Air Force) were unified on a single Defense Ministry; before this, existed the EMFA, an office, formed by the staff of the three armed forces, with the objective of planning collaborative actions between the army, the navy and the air force. In 2010, the EMCFA was created with the objective of keep collaborative works on Armed Forces, what apparently haven't yet happened after the unification. 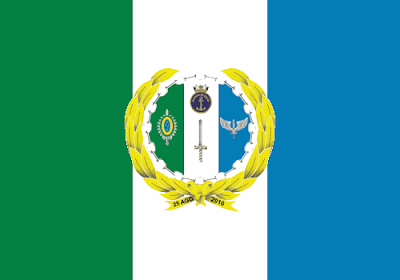 The flag, as well as the coat of arms are tricolor of Army's green (in theory, it should be olive green), Navy's white and Air Force's blue; the colors come from the respective forces' uniforms. The coat of arms contain the emblem of each force on its respective color; in the middle, a sword (representing Armed Forces as a whole, probably). 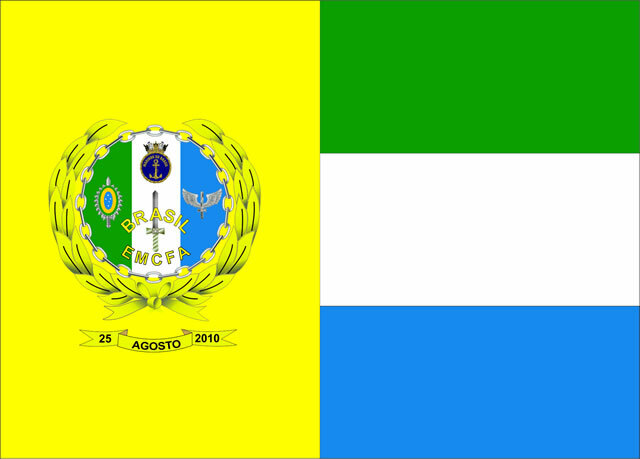 The coat of arms is completed by chains, representing the unity and cooperation between the arms. 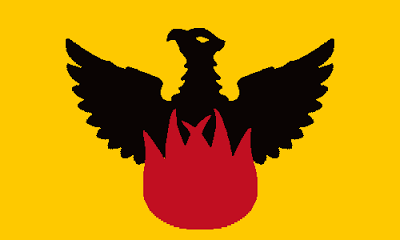 The yellow border on the flag, according to official description, represents the Ministry of Defense (can't find a reason). 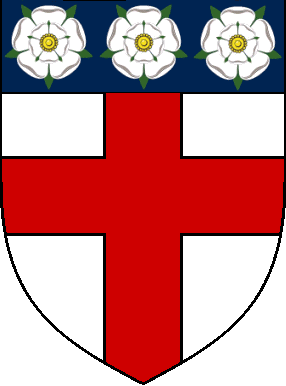 I won't propose a newer coat of arms, as I think it's only needed to render the escutcheon as a proper shield and remove the words (and, if necessary, the chains). The sword now is white (as on Joint Staff arms and logo) because of the yellow background. Comments are welcome. You don't need a Blogger account to do it. Images #1 and #4, as well as elements of #2, comes directly from Army official website, so are in public domain. 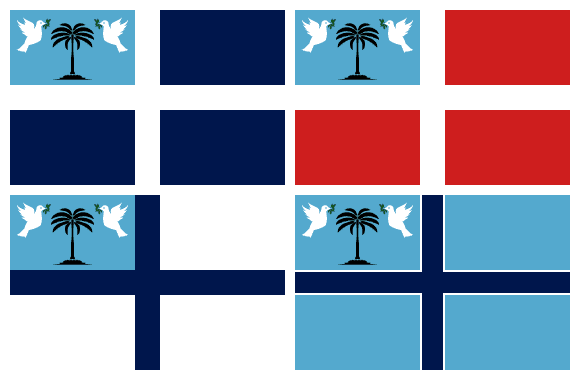 A little more than two months ago, I presented a suggestion to a new Fijian flag. 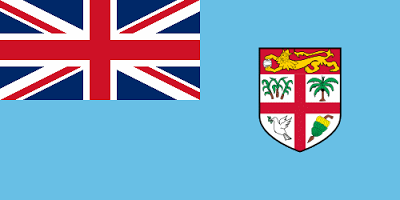 The reason is simple: a new Constitution to Fiji will be approved soon, and it was announced that a new national flag will come together. 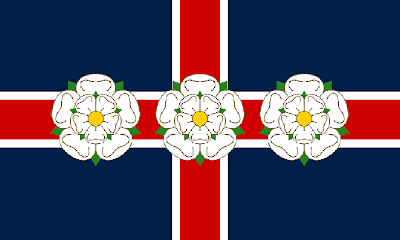 The only info about how it'll look: without the Union Jack. 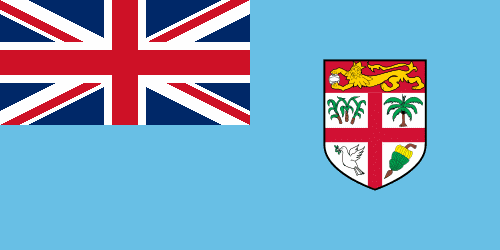 Sky blue, white and black are colors identified with Fiji, specially because of their use by the national sportive teams. 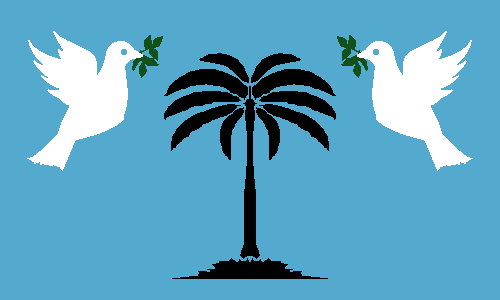 The palm tree represent the island itself (and is used by rugby team), while the blue background represents the great Pacific Ocean that surrounds the island. The doves come from a pre-colonial flag, and the way they are positioned on the flag represents the peace and stability coming directly to the island. 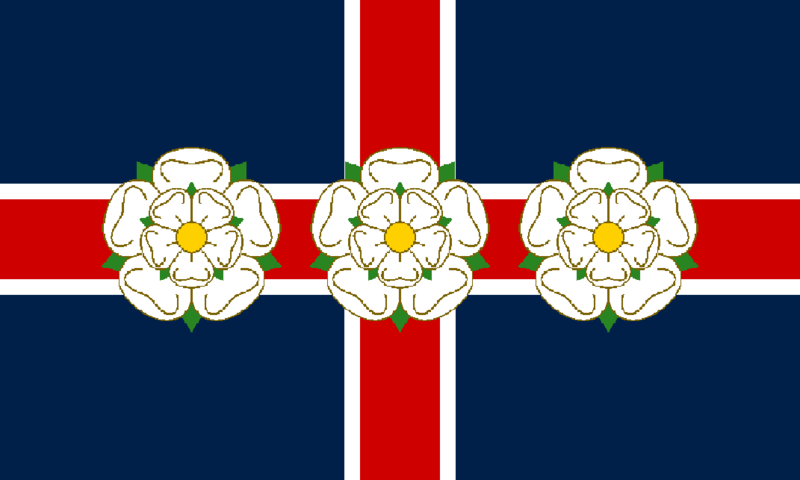 I think this flag is more representative and equilibrated than my first attempt, so I think that, in the end, it's a better flag. Comments are welcome. Please, leave your comment. 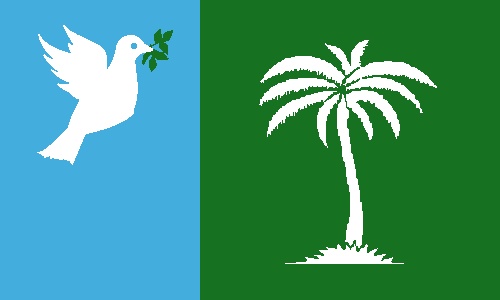 As soon as the new Fiji flag appear, I'll comment it on Flag Review, my other blog. Why don't you visit it right now? 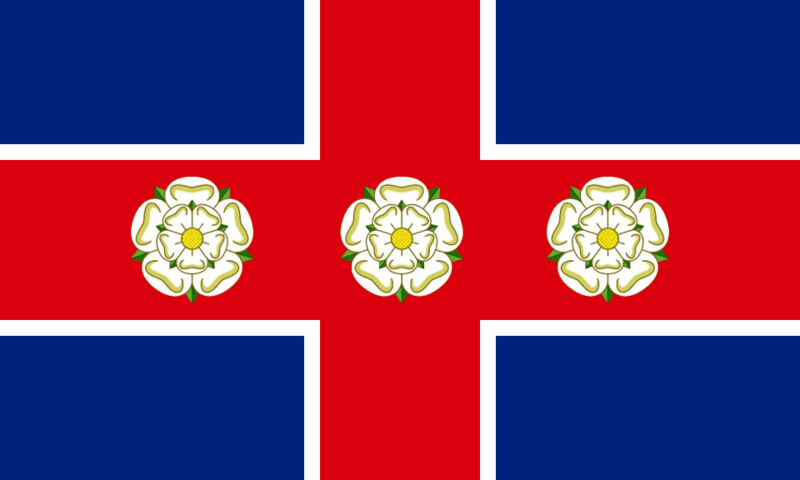 Last day 6, it was announced the finalists of the competition to elect the new flag of the North Riding of Yorkshire (the historical riding, not the ceremonial county). And, fortunately, my entry made the six finalists! Let me explain this flag, and maybe I could deserve your vote. 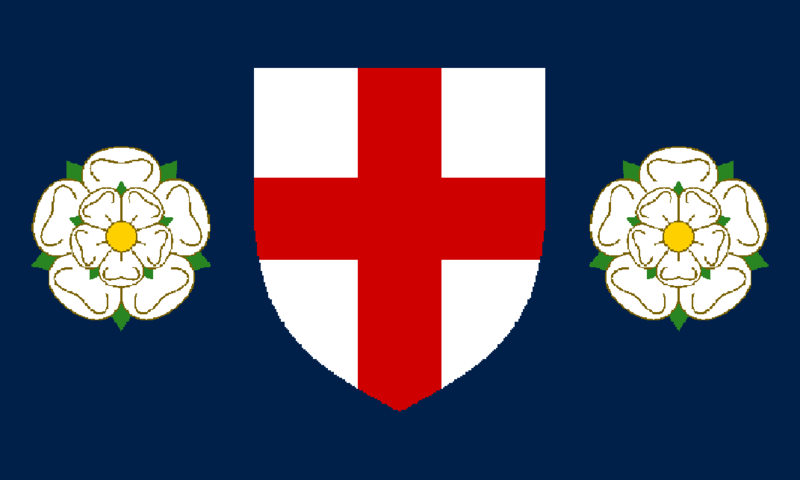 The basic point of the flag was the coat of arms the county used before it was administratively extinct. 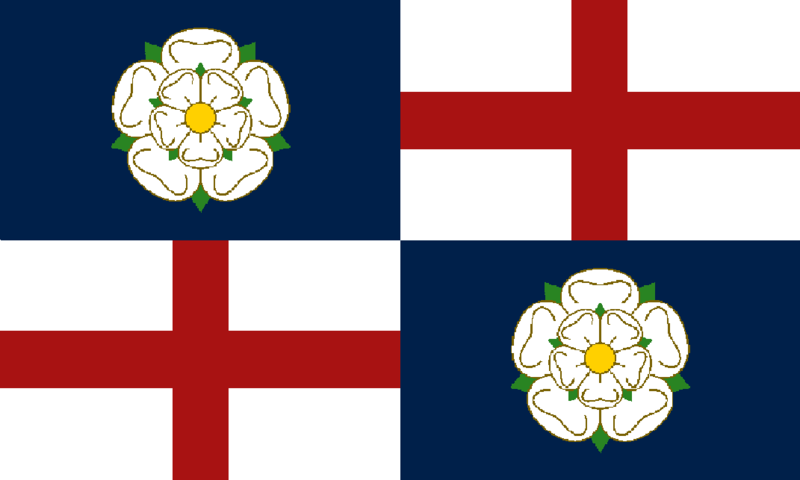 I think the references to England and Yorkshire flags are obvious. I think the changes (specially on blue shade) were made in a way that it could be more easily reproduced by the British flag makers. Not a bad work, I'd say. If you think it deserves your vote, click on link below. What's your opinion about this design? Your comment is highly welcome. 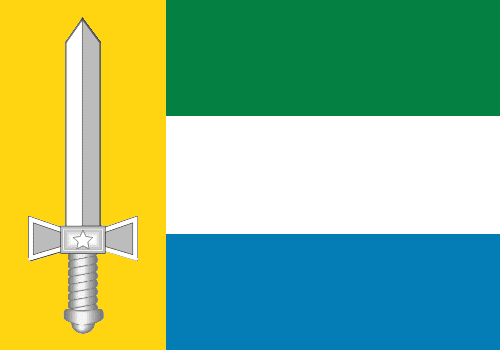 To vote on that or other flag, click here. The poll closes March 24th. 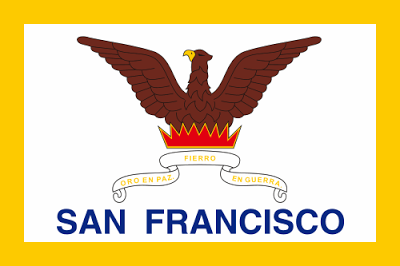 The flag consists of a phoenix returning from the ashes, the motto "Oro en Paz, Fierro en Guerra" ("Gold on Peace, Iron on War") in Spanish, the city name in giant letters and a yellow border (erroneously put where used to be a gold fringe). I appreciate specially the phoenix symbolism in this flag: it represents the city that, verbatim, was reborn from the ashes; San Francisco suffered six great fires between 1849 and 1852, and earthquakes, too, but was reconstructed even bigger and better. The bird is more similar to a phoenix now, and it features the San Francisco colors, the yellow and the black (from that Spanish motto). I hope San Francisco people like it. Your comment is very important. Please, leave a comment. Next week, I'll present a very good news (at least for me).